The East West Line (EWL) is the second Mass Rapid Transit line in Singapore. The line is currently 49 kilometres (30 mi) long with 35 stations, including four stations under construction and to be completed by 2016, known as the Tuas West Extension (TWE), making it the longest MRT line in Singapore. It takes about 70 minutes to travel from one end to the other. 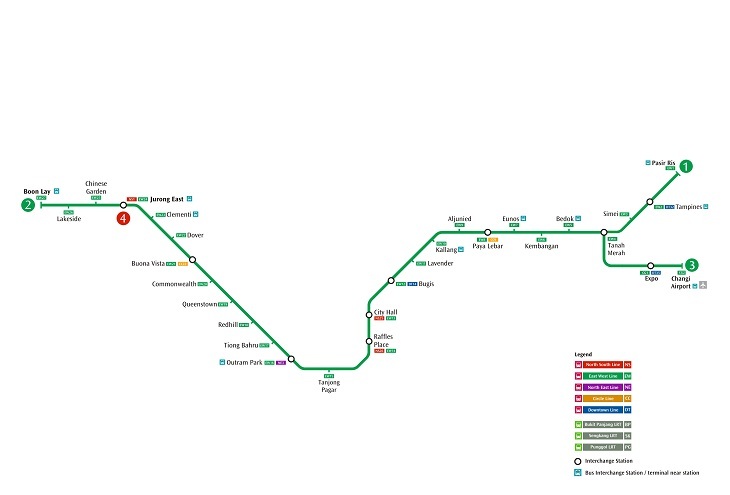 The line is coloured green on MRT system maps. As its name implies, the line connects central Singapore to both eastern and western parts of the island, with an additional branch to Changi Airport from Tanah Merah, which is operated as a separate shuttle service. There is a short tunnel between Kembangan and Bedok where the line ascends into the hill at Siglap, and there is a longer tunnel due to the space limitations between Kallang and Redhill. The line passes through the centre median of roads in Tanah Merah, Bedok, Queenstown, Commonwealth,Dover and Clementi. It takes commuters to schools (Nanyang Technological University and Singapore Polytechnic are nearby) and places of interest (Jurong Bird Park and Science Centre), and skirts past the three rivers (Singapore River, Rochor River and Kallang River). ​Originally, East West Line had a short-working trip that terminated at Tanah Merah for after peak hours, easier to clear but was a rare case from 2011 to 2013 (after that all trains were running to fixed schedules). There was a through connection to the Changi Airport before it changed to a shuttle service from 22 July 2003. EWL is the only line connecting the east to the downtown area until 2017, when the Downtown Line and Thomson-East Coast Line (East Coast section) are expected to be completed. Boon Lay Way, Boon Lay Garden Pri. Sch., Caspian Condominium (U/C), Grace Orchard Sch. 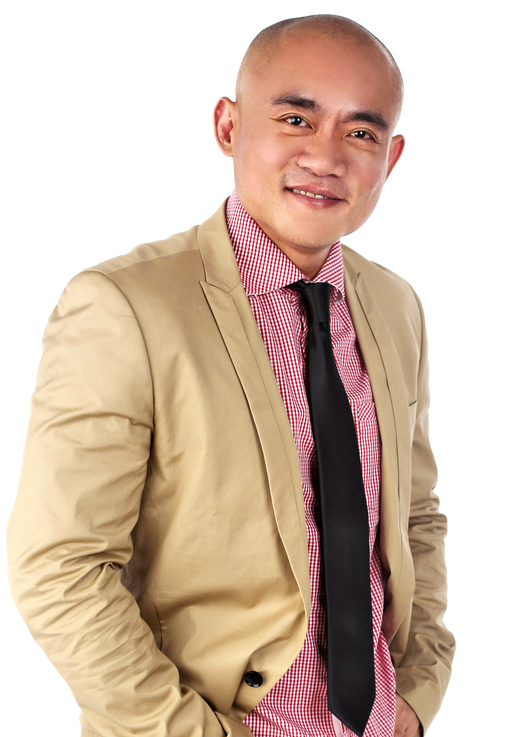 ( Mind School), HDB Branch Office ( Jurong west), Jurong Fire Station, Jurong Spring Community Club, Lake Front Condominium (U/C), Lake Holmes Condominium, Lake Point Condominium, Parc Vista Condominium, Rulang Pri School, Summerdale Executive condominium, Yuan Ching Sec School, Yuan Ching Sec School, Japanese Garden , Lake Shore Condominium, Jurong Lake/Park, Jurong Lake / Park, Boon Lay Way, Yuan Ching Road, Fuhua Sec School, Sheng Leng Temple, Shuqun Pri School., Yuhua Sec School.